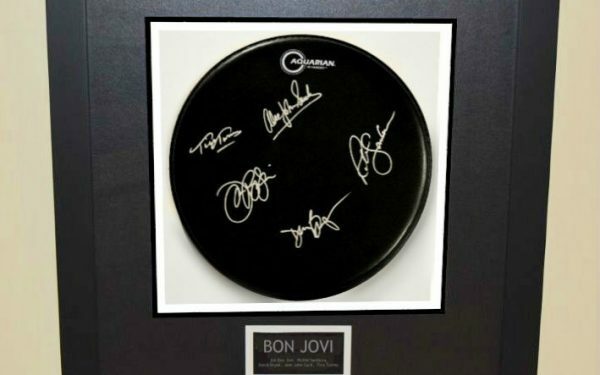 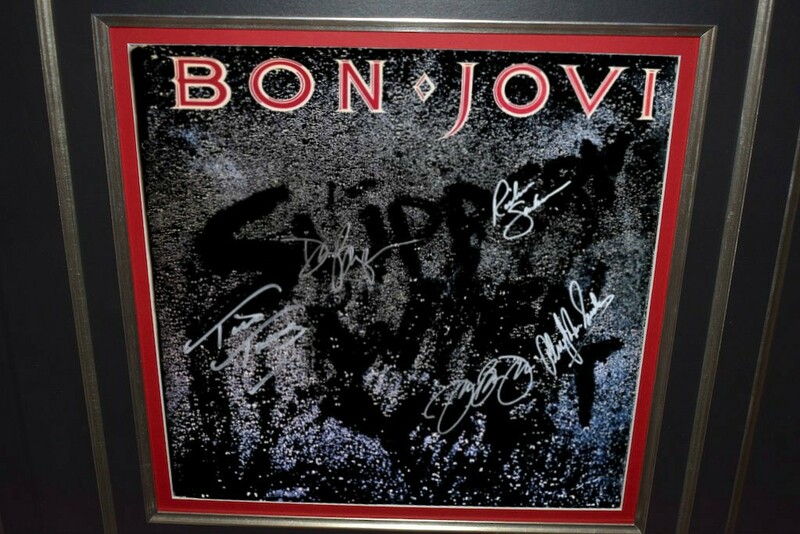 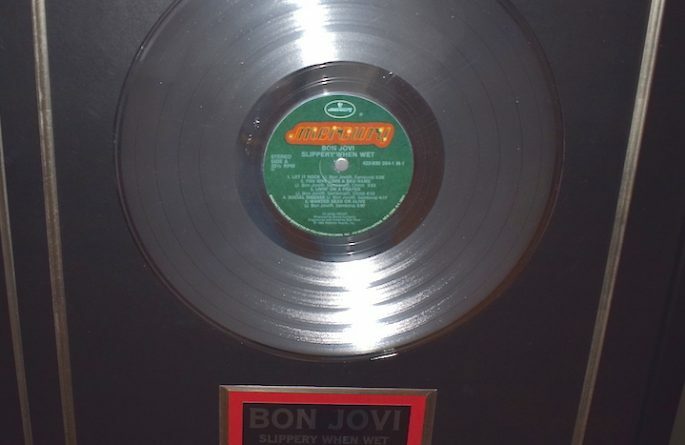 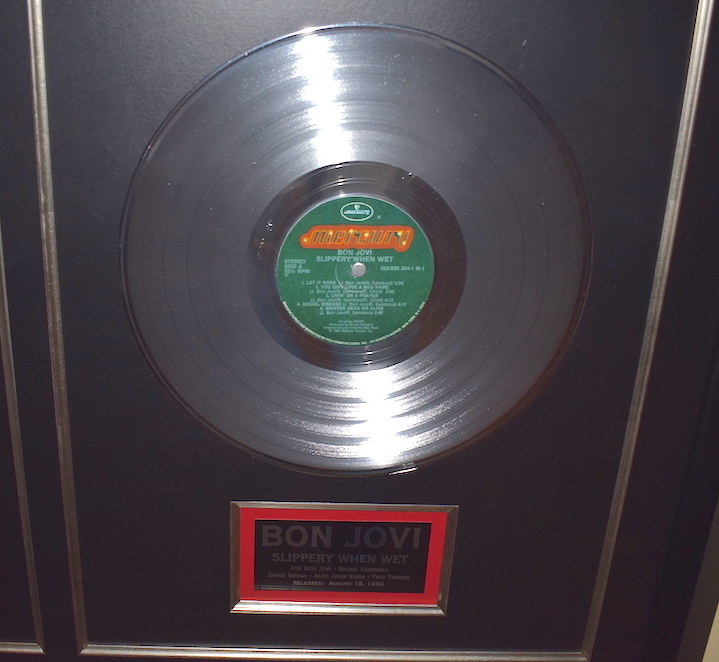 Bon Jovi, Slippery When Wet, John Bon Jovi, Richie Sambora, Alec John Such, David Bryan, Tico Torres.ROCK STAR gallery Bon Jovi, Slippery When Wet, John Bon Jovi, Richie Sambora, Alec John Such, David Bryan, Tico Torres. 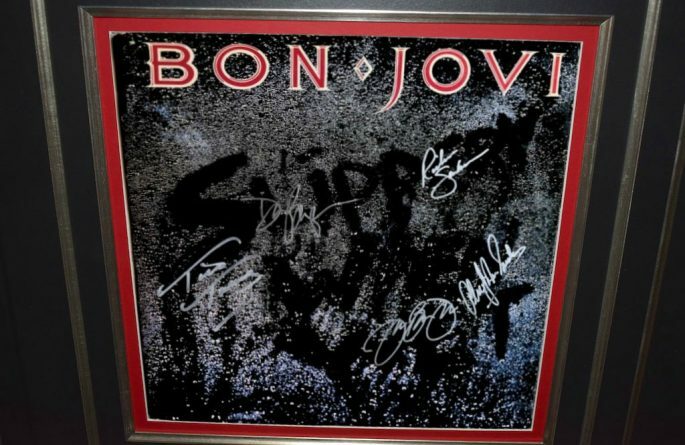 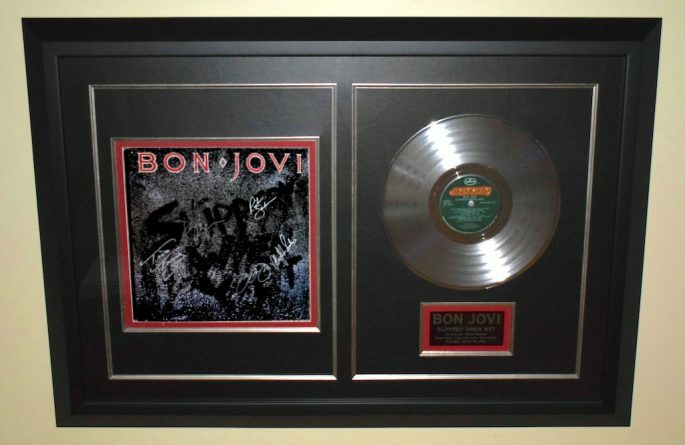 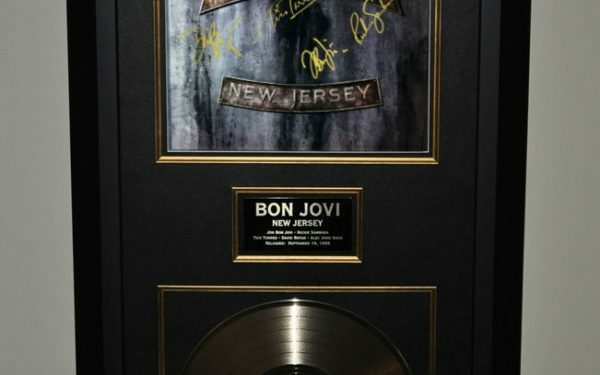 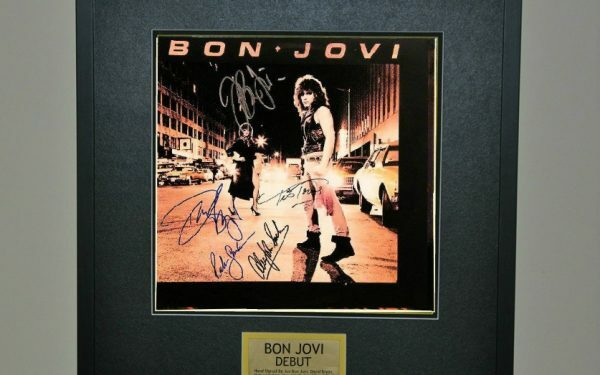 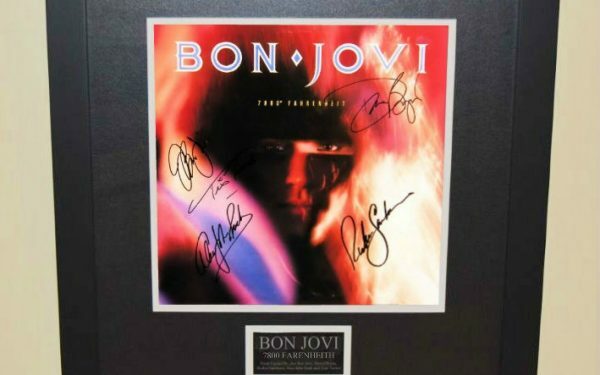 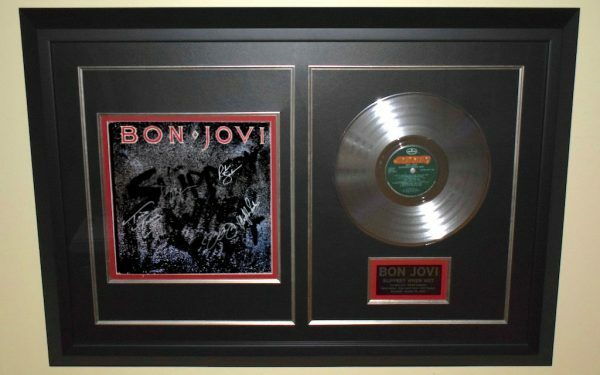 Hand signed in bold silver paint pen for great effect on the cover by Bon Jovi, Richie Sambora, Alec John Such, David Bryan, Tico Torres. Custom Designed Award Style with Genuine Gold Award Album.